So much column space has been spent on Bristol Motor Speedway’s reconfiguration. There’s been the old bump ‘n’ run Bristol, the new track with progressive banking and this current edition we have that attempts to be a combination of both. But no matter which Bristol you like, it was hard to ignore the palpable energy being felt from the crowd Saturday night (Aug. 18). For the past few years, what was a can’t-miss night race has been rebuilding momentum and Kurt Busch’s win served as the latest chapter. Overall, there were 19 lead changes, easily the most at a short track this season. Most of them occurred under green-flag conditions as a wide variety of drivers spent time at the front. But you know who was missing from that list of nine men? 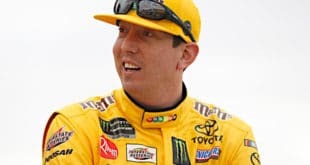 (Mostly) NASCAR’s dominant trio of Kyle Busch, Kevin Harvick and Martin Truex Jr.
All those errors left the door wide open and Kurt Busch was more than happy to take it. An exciting series of late restarts saw him prevail over Clint Bowyer in a hard-fought ending. Heck, just one look at Busch’s hair after the race showed us how much these guys were on edge during this 500 lapper. Kyle Larson had a dominating performance Friday night at Bristol, but he worked for it. Kyle Busch jumped out to a huge lead in the opening stage, lapping up to 11th position. However, on lap 65, the No. 18 car smacked the wall in Turns 1 and 2. Less than five laps later, he was back in the wall, though this time a part broke in the right front tire, ending Busch’s shot at a victory. Larson took charge, though he engaged in a frantic battle with Christopher Bell through lapped traffic. The pair of dirt drivers explained after the race that it was the first time in NASCAR they got to battle for a win. Following a late-race caution, Larson had to hold off Bell on a restart for his fourth win in six XFINITY starts this season. 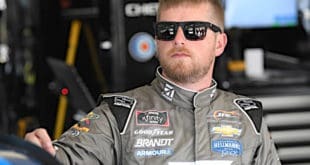 Despite only running in six races this year, the Bristol winner leads the series with 525 laps led after adding 202 to his total in the Food City 300. John Hunter Nemechek clearly had the truck to beat at Bristol Motor Speedway Thursday night (Aug. 16), leading 104 of 200 laps. With just a handful of laps remaining, that potential race-winning run ended when his truck slowed with some sort of a motor problem. Though he managed to keep running and walked away with a third-place finish, it wasn’t the result the No. 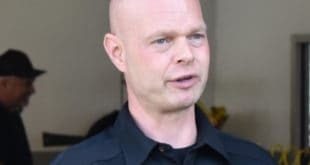 8 team had been looking for. I’m running out of things to say about @JHNemechek “luck”. Kid has driven within laps of more wins than I can remember now this year. It’s not the first time Nemechek has been plagued by bad luck this season either. At Iowa Speedway, he was an innocent victim when Matt Crafton cut a tire after contact with Stewart Friesen. He was out on the spot and left with a disappointing 27th-place finish. 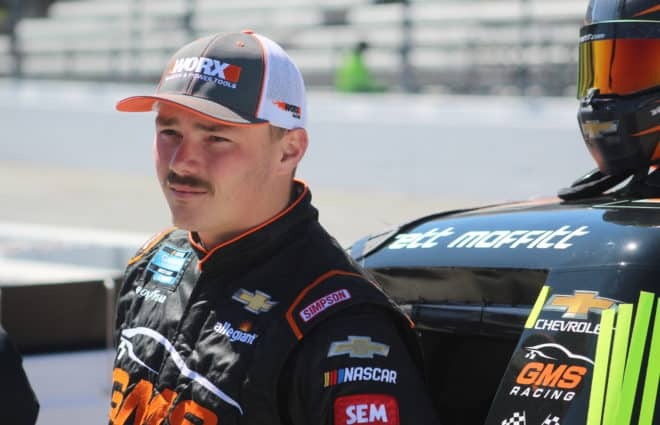 In the following race at Gateway Motorsports Park, a sudden oil leak ended Nemechek’s run and took out Justin Fontaine and Tate Fogleman in the process. The culprit? Debris. Fast forward to Chicagoland Speedway when Nemechek once again had the field covered, leading a race-high 64 laps, including 61 of the final 77. But when he and eventual winner Brett Moffitt took the white flag, Nemechek slowed dramatically and told his team the motor was blowing up. As it turned out, the fueler didn’t get enough gas in the truck and he simply ran out, leaving Nemechek with a seventh-place finish. 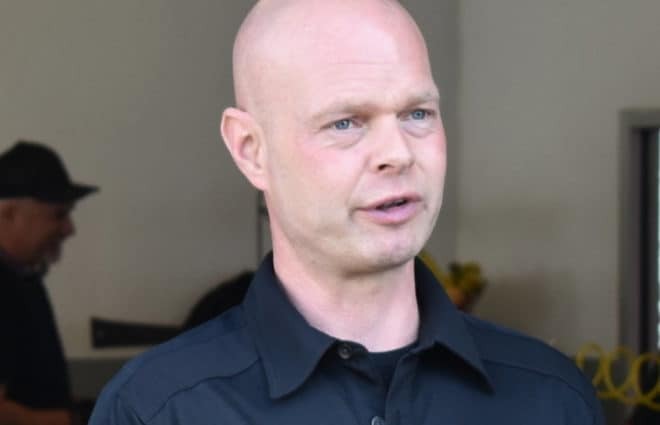 That’s not to say he would have won each of those races where he was hit with some sort of bad luck, but Nemechek has shown some tremendous speed, despite being a low-budget team and could easily have at least three victories this season. Instead, he has the lone win in the snow-delayed race at Martinsville in March. … then you’d best be fast, and today, Fast Jack Beckman was, winning the Funny Car class at this weekend’s Lucas Oil NHRA Nationals from Brainerd. Beckman faced off against teammate Tommy Johnson, Jr. in the final round, putting down a run of 3.961 seconds at 325.69 mph to best Johnson’s 4.031 seconds at 319.67 mph. Beckman raced his way past Matt Hagan, Shawn Langdon, and Courtney Force en route to his first Brainerd win and second of the 2018 season. In Top Fuel, Billy Torrence, father of current Top Fuel points leader Steve Torrence, scored his first career victory in the class. The elder Torrence ran 3.756 seconds, 329.99 mph to beat Antron Brown’s faster but losing 3.751 second, 329.10 run on a holeshot. He also raced his way past Terry Totten, Scott Palmer, and Mike Salinas in earlier rounds. Pro Stock came down to Deric Kramer facing off against Tanner Gray, with Kramer’s 6.652 second, 207.56 mph run taking the win after Gray fouled out with a red light on the start. Kramer beat Vincent Nobile, Alex Laughlin, and Jason Line in earlier round competition. The ABC Supply 500 was a tough race to predict for the Verizon IndyCar Series. 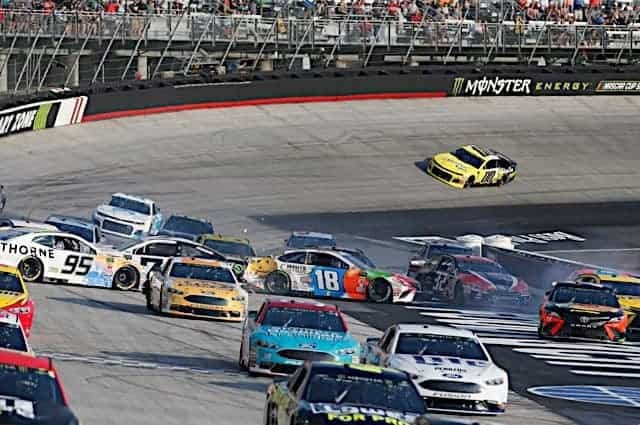 From one of the wildest accidents in recent memory to a 189-lap caution-free remainder, it was a day of unknowns for drivers, teams and fans. It kicked off with Spencer Pigot spinning before the drop of the green flag back in the field. The incident not only delayed Pigot’s day but damaged Graham Rahal‘s front wing but also caused a bit of a controversy between Scott Dixon and pole-sitter Will Power, who Dixon believed jumped the restart, in turn, causing the accident. 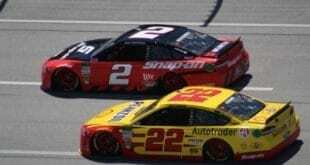 However, speed telemetry courtesy of Team Penske proved Power kept a consistent pace until the green flag waved. You can’t fake that proof. You also couldn’t fake the speed of another guy: Alexander Rossi. The sophomore American stormed to the lead off the start and nearly led the rest of the day for Andretti Autosport. In fact, he led 450 of 500 miles (180 of 200 laps) toward the most dominating run of his career. He gained 17 valuable points on point leader Dixon with three rounds remaining in 2018. Though it was quite a day for Rossi’s memory bank, the minds of most in Pocono stayed on Robert Wickens, who suffered an almighty accident in Turn 2 on Lap 7. His No. 6 Schmidt Peterson Motorsports No. 6 made contact with Ryan Hunter-Reay and was launched into the catch fence, spinning his chassis like a top. Just like at Salem, Christian Eckes was a contender, but not the dominant car for much of the day. Just like Salem, Eckes got better and better on restarts as the race went on. And just like Salem, Eckes was able to hold off the dominant car from the final restart on, this time keeping Sheldon Creed (and teammate Logan Seavey) at bay long enough to win in overtime at the Illinois State Fairgrounds, scoring his second win of the ARCA season. Creed, Seavey, Travis Braden and local favorite Ryan Unzicker rounded out the top 5. While Eckes deservedly took the trophy Sunday afternoon in chamber of commerce weather conditions, it was points leader Creed who may remember this day longer. 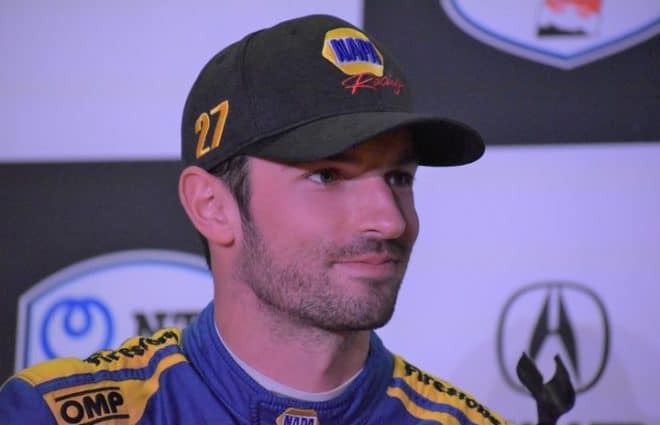 Creed won practice and led large portions of Sunday’s race after driving 11 hours in a rental car from Dallas to be in Springfield after weather conditions canceled his flight on Saturday. More importantly, Creed’s result also came as teammate Zane Smith saw a strong run go up in smoke when his engine overheated around Lap 44. Though the No. 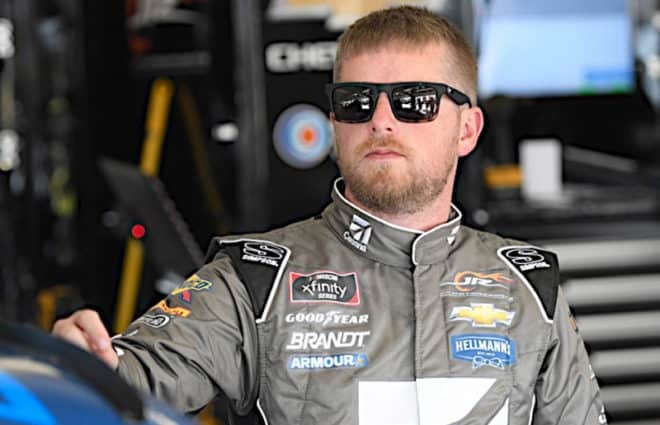 41 team made multiple stops and even got a free pass in dealing with the overheated engine, Smith parked for good around lap 60, finishing 17th and watching any title hopes he had disappear in a cloud of dust. On Friday afternoon, officials from the ACO (Automobile Club d’Ouest) announced the provisional schedule for the 2019-2020 FIA World Endurance Championship. This will be the first regular length winter-based schedule for the series. There will be eight races on the schedule, starting on Labor Day weekend at Silverstone in the United Kingdom. There will be a six-week break before a Far East swing at Fuji in Japan, then Shanghai in China. Bahrain returns to the schedule in December, followed by a return visit to Interlagos in Brazil in February. The WEC will also race at Sebring International Raceway in March of 2020, but the exact date is currently undecided. That’s mostly due to the fact that it will be nearly a full year before the 2020 IMSA WeatherTech SportsCar Championship will be released. The season will finish out with Spa and Le Mans. Le Mans will once again be worth double points. Tags John Hunter Nemechek Kevin Harvick Kurt Busch Kyle Busch Kyle Larson Martin Truex Jr.